Burdeen’s Jewelry Featured with WGN’s Karen Firsel for the Holidays! SPECIAL OFFER FOR WGN VIEWERS! We are SO excited to be featured with fashion and style expert, Karen Firsel, this morning (Weds. 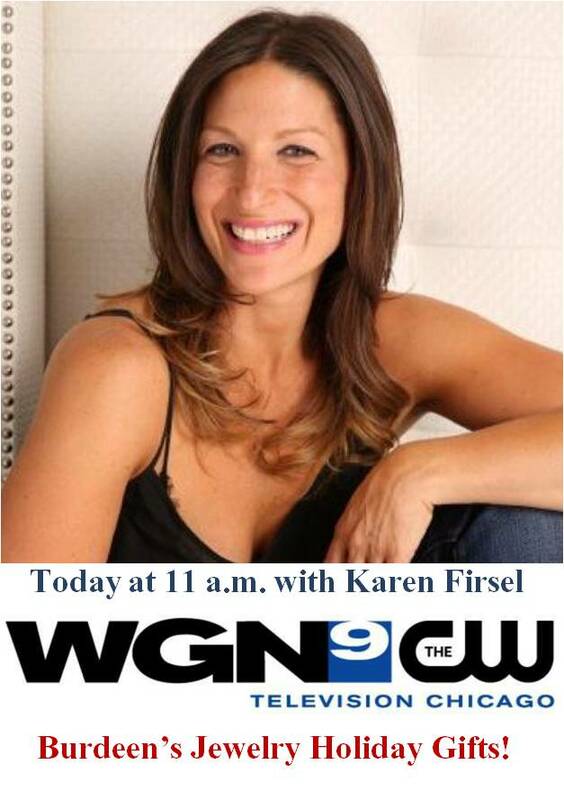 11/6/13) on WGN at 11am, as part of her Holiday Gift Giving Guide! Tune in and check out all the gorgeous ways Buredeen’s jewels can add that special sparkle to your holidays for someone you love!